In the 1970's there was no bigger name in the world of magic than Doug Henning. With his incredible yearly specials and touring shows he was responsible for the resurgence of interest in magic. He inspired so many future magicians, myself included. Doug was so different from every other magician out there. Doug was just Doug. He didn't try to be Blackstone, or Kellar, or even Houdini. He had his own way of doing things and his way was simply, magical. 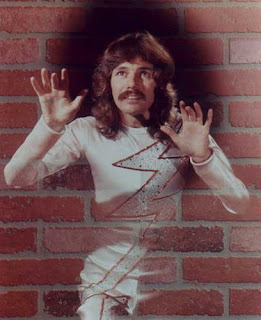 Sadly, Doug Henning is often forgotten today. But there is someone out there who wants to change all that, his name is Neil McNally. In May 2017, Neil created The Doug Henning Project, which is a blog devoted to the life of Doug Henning. Due to the popularity of the site, Neil decided to take the next step and create a documentary about Doug. Neil is the writer and director of the documentary, while Michelle Opitz, a veteran documentary filmmaker, is the projects producer. From the website: This feature length documentary is made with the cooperation of the Henning family, and features such magic luminaries as Penn and Teller, Lance Burton, Max Maven, Johnny Thompson, Milt Larsen, and many more. It follows Doug’s complete life starting as a youth in Canada, his first breakthrough on Broadway with “The Magic Show,” his eight television specials, his devotion to Transcendental Meditation, and his ultimate reasons for leaving it all behind. The framework of which is told by Doug himself through a comprehensive and unreleased video interview recorded six months before his passing. The documentary can use your help. Neil and Michelle have put up a website DougHenningFilm.com which tells you all about the documentary. 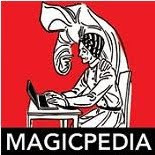 And they've also put up an Indigogo Fundraising page which can be found here https://www.indiegogo.com/projects/doug-henning-s-magical-world#/You can contribute as little as $5 or as much as $10,000. 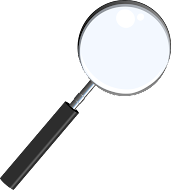 Please go check out the sites and if you are able, contribute to the project. But before you go, watch the video below which tells more about the film! And THEN go donate to this very worthy project.